This year is very special. Why? 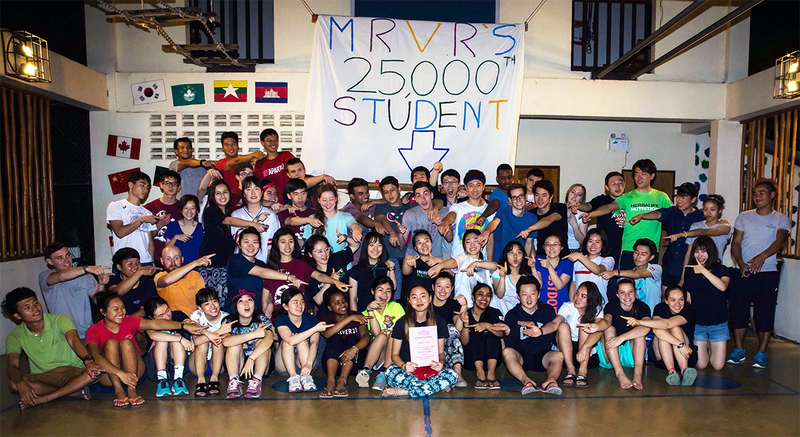 Well, we have had the honour of welcoming our 25,000th student! Funnily enough, they came from Christian Academy of Japan (CAJ) – the same school where the 20,000th student came from. CAJ has been coming to MRVR for many years and every time our staff could not believe how dedicated and hard-working the people from this school are. This time they have been working on building a new kindergarten. Furthermore, they prepared a rich program full of crazy and educational games focusing on English. Whether on the project or activities, it has been again a great pleasure to have boys and girls from our lovely CAJ back here in the MRVR.